In today's world, making yourself stand out without appearing as if you're drawing undue attention to yourself is an important skill to have. That's probably no less true with trying to find a college track and field scholarship offer than it is anywhere else. So, how do you pull it off? Some version of the question posed above seems to be the question I'm busy answering in the aftermath of the college recruiting series. Since I've already sent a couple of lengthy e-mails to people who asked, I thought I'd try to gather those thoughts into an article and try to make some thoughts on that question more generally accessible. 1. When you submit the prospect athlete form to your college program of choice and follow up with an e-mail to the coach, attach a tastefully done resume to that follow-up e-mail. That resume might include a photo or two of you--maybe a head-and-shoulders yearbook kind of shot and maybe an action shot as well. Something to catch the eye, anyway. Assuming this sort of information puts helps shine a positive light on you, you will probably want to include ACT/SAT test score information and high school GPA. Honors earned in high school, both inside and outside of the classroom, could be included here, but--in case your list is very long--keep it to the most significant and most relevant honors. You would want to include some sort of brief statement of what you're looking for in a college and that statement should square well with the school of the coach you're sending the resume to. You would definitely want to highlight your top marks to date, and probably something that indicates your progression through high school as well. By all means, include a link to your personal page on MileSplit on this resume. It helps here if you've done what you can to dress up your MileSplit personal page. Things you may consider would include a photo (resize to the indicated pixel dimensions before uploading), links to a handful of nice photos from on-site albums, a small number of links to a handful of articles (either inside or outside of the MileSplit network), and a brief little bit of non-sensitive biographical information. Resist the urge to overkill. Keep everything you post there short, sweet, and compelling. Many college coaches regularly look at the MileSplit pages of recruitable athletes to glean all the information they can from those pages, but there is no harm in providing a link to your page in case they haven't already looked at it. 2. I've had a small handful of athletes and parents write me and tell me they've included a short video clip when they sent their initial inquiries out to the coaches. If the video is clear and short, I can see how that might help make a favorable impression, and especially so if you're trying to be recruited for a technical event. Do keep in mind, however, that a video clip can become a two-edged sword. If I were a college coach and a 14.9 hurdler sent me a clip of his/her best race and the form looked technically perfect, I might be inclined to go with the 15.1 hurdler who looks a little ragged over the hurdles on the theory that the latter might have a little more upside potential. Honestly, I have no idea how to weigh these variables, but I do know there are college coaches out there who go searching for athletes who fly beneath everyone else's radar, and a 15.1 hurdler with that ragged bit of form just might fit that profile rather nicely. 3. Rather than going the route of straight-up visits to campus when you're a freshman or sophomore (and, truthfully, that's probably a little early to try dropping in on a college track and field coach), you can sign up for the track and field camp at these schools--assuming they host one during the summer months. If you attend a school's running, jumping, or throwing camp, you're likely to learn a lot about the school, the facilities, and the location that you wouldn't learn in many other ways. In past years, I've worked a running camp at a nearby NCAA institution. And, I've made it a point to pay attention to how the coaching staff at that institution looks at the campers (and, I can assure you, they do look at campers with an eye toward identifying recruitable prospects). I've seen potentially recruitable prospects help themselves and I've seen them hurt themselves at summer camp. There will probably be a box to check on your check-in paperwork to indicate if you're interested in attending the school. Either way, though, you can tell the coach who is working your event area that you came to the camp to get better at your event, but also to find out more about the school and the track and field program. The coach will understand what that means; you don't need to belabor the point. And you should probably wait until a day or two into the camp to say that. At that point, you'll probably have a good follow-up question or two to ask so that you don't have that awkward pause in the conversation after you tell them of your interest. You should make it a point to be attentive, respectful, and responsible at all times, but especially so during periods of instruction. You probably don't want to do things that draw unnecessary attention to any quirks you might have, like going off by yourself to do AI stretching while the coach has the rest of the campers doing some sort of warm-up drill. If you're a distance runner, bag the urge to run three minutes ahead of everyone else on a recovery-pace run. Campers who have a nice bit of talent and demonstrate that they're easy to work with make, by far, the best impression. One recurring question I'm getting from follow-up e-mails concerns the usefulness of recruiting services. I'm not here to bash recruiting services, and I'm certainly not here to say that no recruiting service has ever produced a nice school/athlete match that wouldn't have happened otherwise. But, I do think there are some cautions to be observed when dealing with recruiting services. 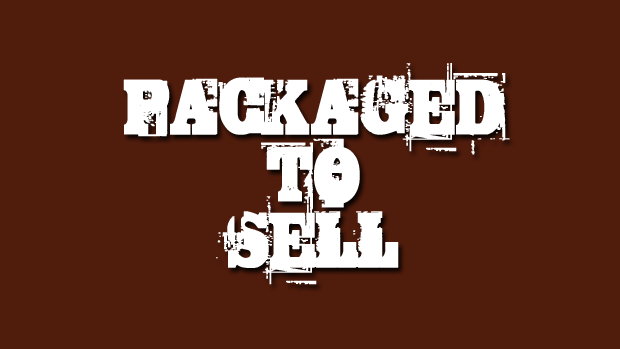 One part of the sales presentation almost always made by a recruiting service is that they do an excellent job of packaging and presenting the athlete, much as we have just discussed, only they do this daily on a professional basis. For the sake of argument, I'll allow that a professional recruiting service probably does a more polished job of packaging than the average (or even somewhat above average) athlete can do on his or her own. That much is not a point worth haggling over. But pause for a moment to look at this from the perspective of the college coach. Which would impress you more about an athlete and the sincerity of his/her intentions of coming to your school and running under your program: a glossy presentation from a recruiting service or a slightly-less-glossy presentation from the athlete himself or herself? For me, that's an easy question to answer. Personal initiative is a big deal with me and something I would always look for in a prospective student-athlete. If you're sensing pressure from a recruiting service to sign up now because it's never to early to get this ball rolling, remind yourself that track and field is not a ball sport (shot put notwithstanding). Every contact I have in the college coaching ranks gives every appearance of being a busy person. And, yes, it is true that several schools send out form letters with what is essentially an invitation to submit prospect athlete information enclosed to higher-achieving athletes during their sophomore years (I'm convinced, by the way, that these letters are sent out more for the purpose of putting their school on the athlete's personal map than for gleaning any information that will actually be useful in some potential later recruiting process). But, I have yet to meet the college track and field coach who has a high interest in talking to high school freshmen and sophomores. With the time they have available after coaching a three-season sport, it's pretty much all they can do to keep tabs on the interested high school juniors and seniors. If the recruiting service you're considering has a one-time fee, they have a vested interest in getting you to sign on as early as possible. Telling you that it's never too early to start is one way of inducing you to drop that money now rather than later. The longer you wait to spend that money, the less likely they are to ever see it. So, consider that angle as you weigh the reasons to make a decision for or against using a recruiting service. Consider also what use a bunch of freshman and sophomore marks might be to a college coach. If you don't improve on those marks as a junior and senior, your stock is greatly diminished. And any scholarship offer made at some later point will be based on marks from later, not earlier, in high school. Freshman and sophomore marks are never highly relevant in the recruiting process and quickly become less so. Recruiting services also seem inclined to pitch the angle that they can market you in such a way as to create a competitive environment between schools for your services, thus driving up the amount of scholarship you will be offered. This has undoubtedly happened in a few cases, but I could also relate to you any of several stories told to me by college coaches regarding how put off they were by prospect athletes who engaged in an attempt (whether through their own efforts, their parents' efforts, or the efforts of a recruiting service) to pit one school against another for scholarship offers. I've heard those stories told so often that I would never recommend this course of action to a prospective track and field athlete. Think about the ratio of risk to reward before engaging in that kind of game. Let's be clear about one thing: college track and field scholarships are a high-demand, low-supply kind of thing, and especially so for males. This environment decidedly limits the leverage of the prospective student-athlete. The college coaches I know and trust work very hard to make the best possible offer they can make within the resources they have to work with. If that's not good enough for a particular athlete, they almost always have a stable full of alternates they can extend offers to in a heartbeat if the person to whom they make the offer doesn't feel the offer is adequate. All of that is not to say that I don't think there is ever any point in hiring a recruiting service. The less particular you are about where you end up going to college, the more useful a recruiting service can be. Recruiting services can be especially useful, for example, late in your senior year if you don't yet have any compelling offers, still want to run collegiately, and you are open to considering a wide range of college options and locations. Recruiting services can make contacts with schools you never even knew existed and find those schools that have some of their pool of scholarship money still uncommitted with far greater efficiency than you can. Sometimes, the offers they generate can be surprisingly large. But, keep in mind, they likely marketed your profile clean across the country to generate those offers. Bear in mind also that they know better than you do which programs are reliably looking for athletes to fill out their rosters. Such situations are, of course, a case of caveat emptor. I would definitely visit a school I had never heard of before--and especially so one half-way across the continent--before committing to attending the school and running for the program. I would visit with eyes wide open. The school in question may or may not be willing to foot the bill for an official visit in such a case, so this may involve some significant expense for you. There are any number of possible reasons why a school may have uncommitted track and field scholarship money in April or May. It should go without saying, however, that many of those potential reasons are not positive indicators.